THE TARGET – TO BE OR NOT TO BE? As Yogi Berra once said, baseball is 90% mental and the other half is physical. Golf, therefore, golf must be at least half that, correct? Ah, the mental game! What an all encompassing topic. Everything from our emotions and tactics to routine, visualization, swing thoughts, and much more. At a recent conference I attended, we were told the pre-eminent swing thought of all elite golfers (professional and amateur alike) in some form or another is always target-based. Apparently and according to some experts, there are studies (I don’t know which ones) demonstrating how this is a fact. In this same conference, a race car driver analogy was given, explaining how the driver only visualizes and focuses on the car’s trajectory or direction; hence, always target-oriented, and golf, like all sports, is no different. Whoa! Back up a little! I could get into the comparing of sports in how golf combines many postures controlled by the extrapyramidal system, which is only one of the reasons golf is difficult and why only focusing on the target is not always effective. I could discuss the idea of how in golf we have not only our outer eye, but also our inner eye, which helps us visualize things far more complex than the ball’s trajectory toward the target. I could expand on how the game of golf and its inherent actions and inactions are not completely geared as a sport of reaction compared to other sports. It would also be fair to discuss how in most shots our eyes are not directed toward our target, where the ball ultimately should finish. It would also be relevant to discuss how our paradigm of thinking, as espoused to us by many well-known sport psychologists, has been shifted over the years toward narrowing down our thoughts to the target. I could discuss each of the aforementioned and then some, but a SWING THOUGHT FORUM would be far more insightful and beneficial to the world of golf. We should ask ourselves this question as golf instructors and coaches: Does the idea of focusing on the target as a swing thought help us, impede us, or both? The brain is very complex, as we know, yet in all its complexity, it is our steering wheel. The target is out there as is the race track. Do we need intent or awareness? If awareness, is it heightened awareness or vague? These are valid questions, because intent and awareness are two different things and can be correlated toward the target or a different stimulus altogether. A keen target focus often leads a golfer toward a series of compensations and golf club manipulations. 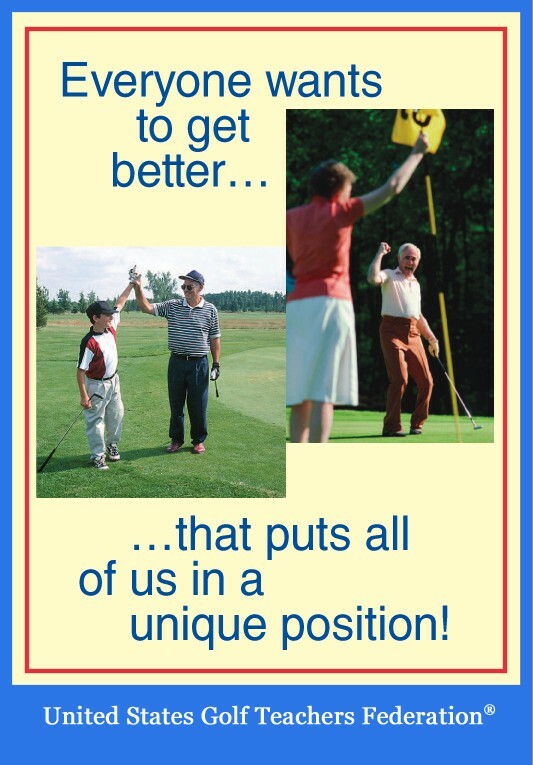 This was demonstrated years ago by Fred Shoemaker, who wrote Extraordinary Golf. Some may disagree, as he had his students throw a club toward a target with great success. Therefore, perhaps the ball is the problem? The ball is only the problem when we try to hurtle it toward a target. Perhaps now we’re uncovering the real truth. Golfers of all levels around the world can deliver the ball long and straight toward their respective target on a driving range. Introduce a definitive target with the real-world consequence of failure, as awaits us on the golf course, and now we enter the realm of the unknown: the proper swing thought(s). I look forward to hearing from many of you as this topic is vast and merits much discourse.